One of Branson’s most beloved holiday traditions, An Old Time Christmas at Silver Dollar City will transport you to a Christmas wonderland. From 1 to 100, An Old Time Christmas is sure to bring out the kid in anyone in your party. An Old Time Christmas is a treat for the senses with millions of colored lights, the sounds of Christmas Carols, and the smells of all of your favorite, holiday treats. And, of course, no celebration of an old time Christmas would be complete without honoring the true meaning of the season. During the Christmas season, Silver Dollar City holds the distinction of being “The Worlds Most Illuminated Theme Park”. With over 5 millon lights covering the park, An Old Time Christmas at Silver Dollar City has over 1,000 decorated Christmas tress, and a giant, 5 story, special effects Christmas tree and everything else lit up in Christmas lights. Many of the parks famous rides remain open, weather permitting, so you can enjoy a scenic view of the lights from high above on Outlaw Run, or a peaceful train ride through the City on the Frisco Railway. And while you’re strolling through the park and enjoying the sights, don’t forget to stop at a few of Silver Dollar City’s unique shops and pick up that perfect Old Time Christmas gift to take back home with you! The highlight of the day comes marching down Main Street in the Holly Jolly Christmas Light Parade. Toy soldiers, Rudolph and all of his friends, and even jolly old Saint Nick himself will wow the kids and the kid at heart. Grab a cup of wassail, some hot apple dumplings with cinnamon ice cream, and sit back and enjoy this spectacle of epic proportions. And if you work up an appetite fun all of the merriment, enjoy a nice prime rib buffet over at Reunion Hall! 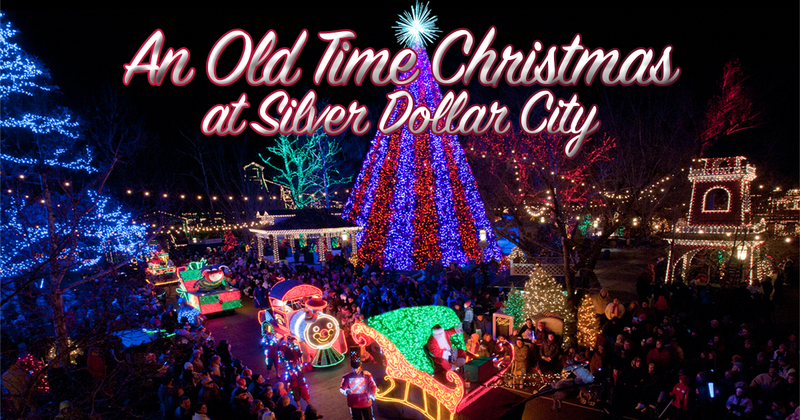 Want to learn more about Silver Dollar City’s An Old Time Christmas? Just contact one of our experienced travel agent members. 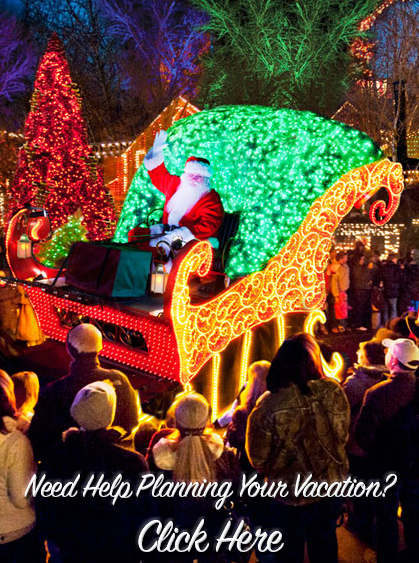 We at Branson Travel Planning Association are here to assist you with booking your Branson vaction, whether it be to An Old Time Christmas, or any of the other exciting events happening in Branson. Branson Travel Planning Association members have been saving folks just like you both time and money on their Branson vacations for over 10 years and we look forward to making your next trip to Branson easy, affordable, and the best trip to Branson you’ve ever had!